The 206L-4 LongRanger IV features wide opening doors and a roomy cabin, accommodating six passengers at a range of up to 324 nm, with a cruising speed of 127 mph. Its maximum endurance is just over 3.7 hours, allowing use for a wide range of applications including corporate/VIP transport, offshore, emergency medical services, utility or law enforcement. 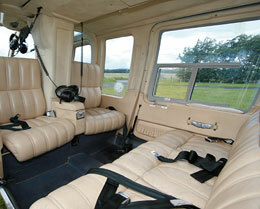 A derivative of Bell's iconic JetRanger, the 206L LongRanger first flew in late 1974 and began production in 1975. Among other improvements over its predecessor, the LongRanger most notably featured a superior engine and a new transmission suspension system. These changes increased the speed and range of the aircraft, while also increasing the comfort of its passengers. External improvements over the JetRanger included a longer fuselage, which created more interior cabin space as well as room for additional windows. The LongRanger's single consolidated engine exhaust replaced the two exhaust design of its predecessor. 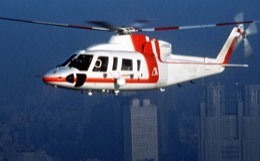 Due to the definitive upgrades over the JetRanger and their similar capabilities, production for the older JetRanger ceased in 2010. 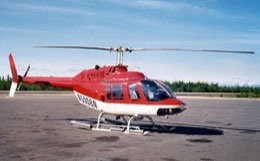 The LongRanger is now Bell's most iconic helicopter and is the manufacturer's primary single-engine representative in the marketplace. Its main selling points are its reliable engine, comfortable club style face-to-face seating, and smooth, accommodating flight experience. The 206L-4 LongRanger is a flexible aircraft, able to tackle a wide variety of potential mission types. Its innate versatility allows it to regularly take on executive transport missions, emergency medevac operations, fire-fighting support, and police air operations among other tasks. 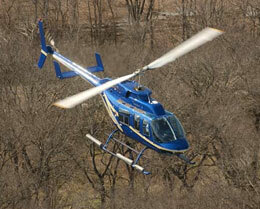 Throughout each of these missions, reliability is of paramount importance. Consequently the LongRanger utilizes the time-tested Rolls-Royce 250-C30P turbine engine, which has logged a staggering 150 million flight hours. When it comes to safety and reliability, Rolls-Royce is one of the most prestigious, respected, and trusted manufacturers on the planet. Additionally, its 2.3 cubic meter cabin volume and 61 inch wide doorways provide great utility for virtually any type of mission. Considering that most helicopters provide relatively tight and cramped conditions, space is always an appreciated commodity. The LongRanger provides ample usable interior cabin space, which can be optimize for the mission at hand, while remaining relatively lightweight and flexible. In addition to being mechanically reliable, the 206L-4 LongRanger has several standard safety features to give its passengers peace of mind while in the air. Rupture-resistant fuel cells mitigate potential damage that could affect the safety of a flight. Standard body restraints provide additional safeguards against turbulence, while energy absorbent seats increase both comfort level and safety. The aircraft also features a collective mounted throttle. 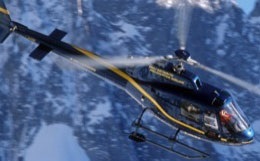 Combined with the aforementioned reliability of the helicopter's engines, its new suspension system, and comforting safety features, it becomes obvious that Bell has made great efforts to provide a stress-free, peaceful flight experience for LongRanger passengers. Additional improvements are always being offered on both new and existing units to continually modernize the aircraft and maintain is competitive appeal. In short, the 206L-4 LongRanger is a dynamic, versatile aircraft that performs admirably in a great variety of situations, making it an attractive option for virtually any private traveler. For more information about chartering, leasing or buying a Bell 206L-4 Longranger please contact us by calling +44-20-3874-8091 or send us an email here.